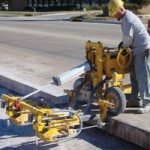 E-Z Drill designs and manufactures automatic drills and dowel drilling equipment for maximum precision and speed. 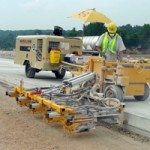 Put our equipment to work for airport runway construction, lane additions, full-depth repair, industrial and utility projects and other specialized applications. 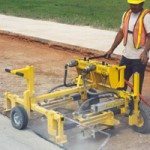 Our full lines of slab rider, on-grade and equipment-mounted drills come in single to five-gang models. 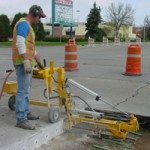 We also offer vertical drills for utilities and concrete drilling accessories such as dust-collection systems and pin-pullers. If we don’t have the drill you need in our standard lineup, we’ll custom design and build one for you. We engineer and manufacture our machines in a 22,000-square-foot facility in Perry, Okla. Our team of more than 40 employees comes to work every day with a passion for quality and a commitment to safety that results in products that improve productivity and help protect your people. Our equipment is available worldwide from more than 100 dealers who also provide exceptional customer service when you need it. Precision. Speed. Reliability. The Yellow Drill Will.